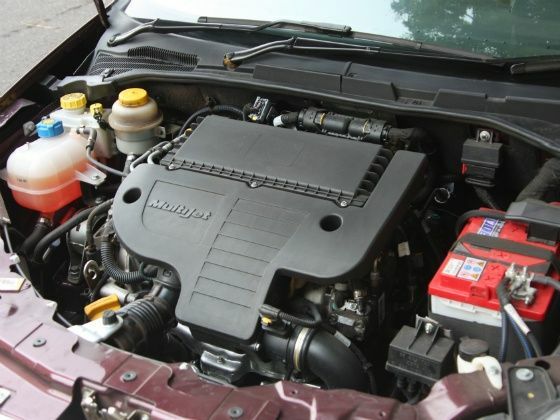 The biggest change in the new Fiat Linea Classic is the less powerful engine. The Fiat Linea Classic is powered by the same 1.3 Litre Multijet Diesel the featured on the old Linea with one big difference. The Linea Classic’s 1.3 Multijet features the fixed geometry turbo as compared to the older car’s Variable Geometry Turbo (VGT), which means power is down from 90PS to 75PS. Although that is a 17 percent drop in power, the Linea manages to go about it’s business without much to complain. The lack of power is obvious though when the Linea is taken on the open highway, especially at slower speeds and lower gears. Once the Linea does get moving though, the high torque diesel motor provides enough power to appease any conventional Indian driver. Although we haven’t driven the Petrol powered Linea Classic yet, the power plant that powers it remains unchanged with 88PS. We do have a bit to complain about the slightly spongy feel of the clutch and transmission overall. The clutch pedal throw most certainly needs some more optimization to make the Linea a little easier to drive. The gear shift too feels a little rubbery and is far from being accurate. The gear ratios too need a serious rethink. While first and second gears are extremely short making the powerband almost negligible, the Linea does settle down well from the third gear onwards making the Linea a very good highway cruiser.